PD Edenhall Ltd is one of the largest independent concrete facing brick manufacturers in Britain. They needed to accurately monitor the quantity of pigment being dispensed into the weigh hopper throughout the manufacture of concrete facing bricks. Precise pigment dispensing needs to be calculated as inaccurate amounts of pigment can lead to incorrect colour blends, resulting in a loss of sales and profit. To monitor the quantity of pigment going into the blend, 3x DBBSM S-beam load cells were connected together to the supports of the pigment weigh hopper. The DBBSM S-beam load cells checked the load of the pigment weigh hopper throughout the pigment dispensing process and the outputs of the load cells were sent to an Intuitive4 load cell digital indicator. This enabled the engineers to constantly check the correct amount of pigment was being dispensed into the mix. “We chose Applied Measurements’ DBBSM s-beam load cells as the pigment is £1000 per tonne so has to be extremely accurate.” Paul Akers, Works Manager at PD Edenhall Ltd told us. The DBBSM S-beam load cells were ideal to use in this application as they are extremely accurate of better than ±0.03% of the rated capacity. Coupled with their dual bending beam design, they guarantee excellent accuracy. Improved accuracy can be further guaranteed by using our specially designed rod end bearings to help reduce any extraneous forces. They offer an optional sealing to provide protection in the dusty environment and a robust 4-core polyurethane cable, making them ideal to use in the pigment dispensing machine. 10Vdc Load Cell Excitation @ 120mA max. The Intuitive4-L load cell digital indicator was chosen for this application as superior accuracy was needed due to the high cost of the yellow pigment. The intuitive4-L boasts a 10 point linearisation guaranteeing outstanding accuracy coupled with a 20-bit A/D converter for high resolution. High stability is promised with signal filtering adjustment options which reduce the effect of noise or instability of the input signal. Plus, it benefits from an active filter which reduces the effects of vibration and other external sources of system noise. The intuitive4-L load cell digital indicator is fast and simple to setup with its single layer menu making the options easier to find. Dimensions and fittings are entirely compatible with the existing Intuitive2 models making the switch over to this new improved version even easier. Once installed the intuitive4-L load cell digital indicator has an IP65 dust tight protection rating making it ideal to use in this harsh construction environment. If that’s not enough we can also provide an optional waterproof front panel cover for that extra level of protection. The intuitive4-L digital panel meter has a modular construction meaning that PD Edenhall Ltd could configure it to their exact specification saving them money. Options available include voltage or current analogue outputs, 2 or 4 alarm relays and a serial data output in one of several formats including RS232 ASCII, RS485 ASCII and RS485 ModBus RTU, making this a truly flexible load cell digital indicator. EMC problems could lead to lost business. If you were to tell your boss that a fifth of your output was being wasted and could not be accounted for, I doubt they would be too impressed. Where would you think the wasted output was coming from? Most managers would blame human error in their workforce, but they could be jumping to conclusions. Here, Keith Armstrong, global electromagnetic compatibility (EMC) expert at EMC Standards looks at a case where radio frequency interference (RFI) had a significant detrimental impact on a business. A large manufacturer of industrial fasteners, working in partnership with a major customer, agreed to install a packaging cell. This contained an automatic weighing machine that filled plastic packets with fasteners and a radio frequency (RF) welding machine, which sealed the packets. For financial reasons, the two machines were purchased separately, however the cost implications of this decision later became much more significant. Both machines were supplied, installed and tested successfully. However, when the manufacturer used both machines at the same time, the weighing machine suffered more than a 25 per cent error rate caused by RF interference from the welding machine. This significant error translated into a substantial amount of wasted power output. In an eight-hour shift, the packaging cell should have packaged £20,000 worth of fasteners, however the automatic weighing machine was so inaccurate that it could have given away £4,000 worth of fasteners. As the electromagnetic environment was not considered at the start of the procurement process, the facilities managers were not aware of the interference that would be caused by the RF welding machine. They also failed to specify EMC requirements in the contracts for both machines, stipulating only that they should meet all legal requirements. As this was not specific to EMC, the manufacturer could not complain to the suppliers about the loss caused by the RF interference. It was only by bringing in expert technical assistance that the manufacturer was able to resolve the problem. However, by this point, it had lost six weeks production, suffered additional costs and had lost credibility with its major customer, which could have led to a loss of future sales. This is only one example of where a business failed to consider EMC issues early in the design process and experienced a series of problems. Many facilities and plant managers are often unaware of the issues and regulations that surround EMC until it is too late and by then they have caused serious problems. EMC Standards offers advice and resources for those who not only want to learn more about EMC, but those who need to learn more to protect the credibility and performance of their business. After all, it may be easy to blame human error for wasted output in a factory, but the human error could be yours for not considering EMC earlier in the process. Adam Bannaghan, technical director of Design Rule, discusses the growing role of PLM in managing quality and compliance. The advantages of product lifecycle management (PLM) software are widely understood; improved product quality, lower development costs, valuable design data and a significant reduction in waste. However, one benefit that does not get as much attention is PLM’s support of regulatory compliance. Nobody would dispute the necessity of regulatory compliance, but in the product development realm it certainly isn’t the most interesting topic. Regardless of its lack of glamour, failure to comply with industry regulations can render the more exciting advantages of PLM redundant. From a product designer’s perspective, compliance through PLM delivers notable strategic advantages. Achieving compliance in the initial design stage can save time and reduce engineering changes in the long run. What is more, this design-for-compliance approach sets the bar for quality product development, creating a unified standard to which the entire workforce can adhere. What is more, the support of a PLM platform significantly simplifies the compliance process, especially for businesses operating in sectors with fast-changing or complicated regulations. For example, AS/EN 9100, is a series of quality management guidelines for the aerospace sector, which are globally recognised, but set to change later this year. December 2016 is the target date for companies to achieve these new standards – a fast transition for those managing compliance without the help of dedicated software. Similarly, the defence industry has its own standards to follow. ITAR (International Traffic in Arms Regulations) and EAR (Export Administration Regulations) are notoriously strict exporting standards, delivering both civil and criminal penalties to companies that fail to comply. The strict nature of all these regulations is not limited to aerospace and defence however. Electrical, food and beverage, pharmaceutical and consumer goods are also subject to different, but equally stern, compliance rules. Despite varying requirements across industries, there are a number of PLM options that support compliance on an industry-specific basis. Dassault Systèmes ENOVIA platform, for example, allows businesses to input compliance definition directly into the program. This ensures that, depending on the industry, the product is able to meet the necessary standards. As an intelligent PLM platform, ENOVIA delivers full traceability of the product development process, from conception right through to manufacturing. For those in charge of managing compliance, access to this data is incredibly valuable, for both auditing and providing evidence to regulatory panels. By acquiring industry-specific modules, businesses can rest assured that their compliance is being managed appropriately for their sector – avoiding nasty surprises or unsuccessful compliance. For some industry sectors, failure to comply can cause momentous damage, beyond the obvious financial difficulties and time-to-market delays you might expect. For sensitive markets, like pharmaceutical or food and beverage, regulatory failure can wreak havoc on a brand’s reputation. What’s more, if the uncompliant product is subject to a recall, or the company is issued with a newsworthy penalty charge, the reputational damage can be irreparable. PLM software is widely regarded as an effective tool to simplify product design. However, by providing a single source of truth for the entire development process, the potential of PLM surpasses this basic function. Using PLM for compliance equips manufacturers with complete data traceability, from the initial stages of design, right through to product launch. What’s more, industry-specific applications are dramatically simplifying the entire compliance process by guaranteeing businesses can meet particular regulations from the very outset. Meeting regulatory standards is an undisputed obligation for product designers. However, as the strategic and product quality benefits of design-for-compliance become more apparent, it is likely that complying through PLM will become standard practice in the near future. Conveying and sorting in one! Festo has developed a new pneumatic conveyor concept – the WaveHandler – for the transportation and simultaneous sorting of delicate objects. WaveHandler – transporting and sorting in one. Individual modules can be connected as required and are self-configuring to guarantee the rapid networking of the entire system. The system display utilises forward thinking technologies based around Web4.0 concepts. Autonomous actuators, comprising 216 connected pneumatic bellows modules, are attached underneath the covering that forms the surface of the conveyor. Each module consists of bellows kinematics on top, an integrated standard valve MHA1 from Festo and the appropriate electronics for actuating the valve. The bellows structure is pneumatically driven and can expand and contract by around 1 to 2 cm. The conveyor is supplied with power and control commands, via a CAN bus, by a compressed air channel and an electrical cable running through all the modules. Each identical module recognises its position in the network and is programmed to understand its role. Mounted above the WaveHandler system is a camera system that senses the objects on the conveyor. The camera transmits the images to a computer that processes them and actuates the conveyor via software developed specifically for this purpose. In the bellow modules, each microcontroller receives commands via the CAN bus and forwards them to the valve. The respective bellows structure expands when the valve is switched, which causes the surface to arch at this point. 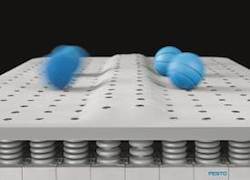 The end result is a control network that moves objects on the surface in a targeted manner, enabling it to take over the sorting and moving action in the process. Modular in design, the WaveHandler system could be positioned in the centre of a conveying unit to distribute the goods to the next conveyors on the left or right. The time and effort needed for installing the conveyor is reduced since an additional handling unit is no longer required for the sorting process. Individual modules can be connected as required and are self-configuring, which opens up new opportunities in applications where subsystems need to be quickly and flexibly integrated into production sequence. “Whether it is decentralised intelligence, high transformability or plug and produce, the principles of the factory of tomorrow are already playing an important role in today’s products,” concludes Sands. PLC, motion control, drive as one unit: A complete solution for PG Express described by Alexander Hack, Market Development Manager,Kollmorgen, Ratingen (D). Bringing in latest technological innovations, Kollmorgen is participating in strengthening the packaging & metal forming market segment in a big way. It is in this pursuit of excellence, Kollmorgen has supplied the complete automation solution to IMA PG for their PG Express machine. IMA-PG India Private Limited is a pioneer in the field of Thermoforming machines in India having introduced its first machine in 1978. It is today well-respected for its ability to innovate and engineer solutions to meet constantly changing demands. It offers a complete range of packaging solutions that includes machines for applications such as cartoning, rotary vacuum forming, rotary sealing, flat sealing and tube-filling besides of end-of-line packaging. Kollmorgen has been associated with IMA PG for the last two years where they have supplied Automation Solution products like Motion Controller, HMI, Servo drives, Servo Motors, I/Os, etc. Through world-class knowledge in motion, industry-leading quality, and deep expertise in linking and integrating standard and custom products, Kollmorgen provides OEMs with the competitive advantage they need to succeed. AKD PDMM brings high performance PLC and Motion Control into technologically advanced machines. PG Express machine is a blister packaging machine which is used for forming blisters. Blister is a pack of some tablets (e.g. 10, 4, 5, 1 etc.) made as per design which is used to hold the tablet. This machine is manufactured by IMA PG from the last three to four years but this was the first machine where Kollmorgen supplied the entire automation solution. It is a 3 axis machine used for Indexing, feeding and punching the blister. Major flow of machine operation is formation of blister, dropping of the actual tablet, sealing of the blister and finally cutting of the blister. Kollmorgen has improved the machine speed through excellent system performance. The machine can now produce upto 450 blisters per minute thus making production much faster. However, the OEM started developing obstacles in controlling the temperature which is a critical aspect of this machine because sealing is dependent on the effective temperature control. If the temperature is not controlled properly then the quality of final blister would be bad & it won´t be sellable in market. When the OEM approached Kollmorgen with this problem, they were quick to respond. An inbuilt function for temperature control was installed which is around 15 times faster than the external controllers. This saves additional PID controller costs and more importantly it results in better quality and less wastage. The program is controlled using AKD PDMM controller. This is a drive based motion controller with integrated PLC functionality, which is specially designed for small and compact machines typically used in packaging machines. AKD PDMM brings high performance PLC and Motion Control into technologically advanced machines. The integrated Motion Controller can synchronize up to 8 axes with 250 µs cycle time. It supports various motion control functions from simple point to point positioning to linear and circular interpolation. PDMM can take care of PLC logic, temperature control, motion control, HMI control & drive control for entire packaging machine. To allow the highest flexibility and freedom of programming, Kollmorgen Automation SuiteTM software has been used where PLC logic, HMI programming, Motion control & drive control are all integrated at one place. It complies with IEC 61131-3 standard for programming languages. To make the machine user friendly for the OEM, easy software development was done using the Pipe NetworkTM which is one of the key differentiators by Kollmorgen. The software development was done in just 10 days as compared to 45 days by competitors thus saving valuable time and money for the client. With the Pipe NetworkTM it is possible to get rid of mechanical components (e.g. gear, cam) in the machine by defining equivalent motion blocks in the software. This is extremely user friendly, easy to implement & easy to troubleshoot. The user simply needs to draw the scheme & ultimately connect to the machine axes as per requirements. All necessary interconnections are done automatically in the program. The biggest benefit for programmer & end user is the ease of programming & troubleshooting with clear visual understanding of the scheme. At Kollmorgen, the »after sales service and support» to the customer is of prime importance. In this case the first commissioning of the machine was done with the help of global expertise in this kind of application. Major flow of machine operation is formation of blister, dropping of the actual tablet, sealing of the blister and finally cutting of the blister. Senior application development engineers from Germany did the entire conceptualization & programming. It was because of the hard work and dedication of the Kollmorgen team that the actual time for conducting trials & finalizing the performance took just 10 days (against 45 days taken by competitor). Currently the PG Express machine is installed at a leading pharmaceutical manufacturer in India and is running successfully from last eight months. From the beginning, Kollmorgen has kept a dedicated application & sales engineer for IMA PG. After the successful implementation of this machine, Kollmorgen subsequently got two new prototypes- PG Super & C350 and successfully executed the same. It was a moment of pride when Kollmorgen recently got the serial production orders for PG Express. 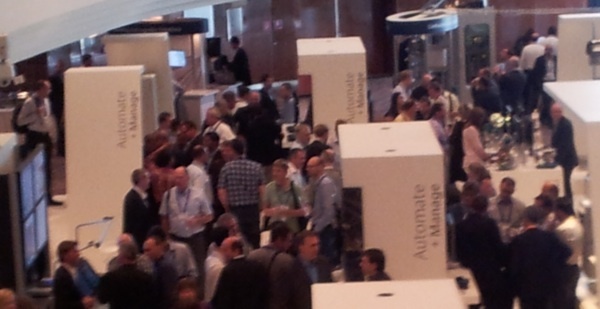 #EMrex: Automation returns to Düsseldorf! 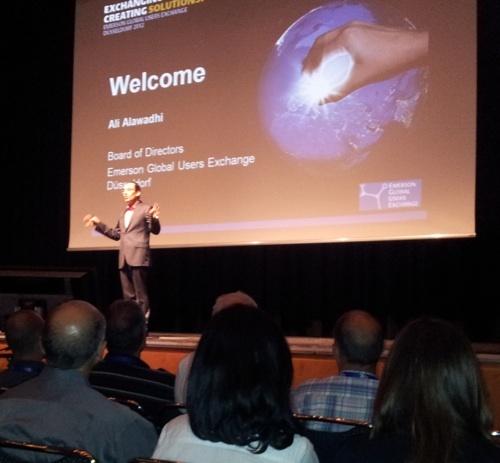 Emerson’s first Global Users Exchange (#EMRex) in Europe was a three-day event for existing and potential users of Emerson Process Management products and services. The event was held from 29-31 May 2012 in Düsseldorf (D). Düsseldorf was for many years the Mecca for Automation professionals and afficianados. The memories of those of a certain age will recall with pleasure the visits to the incomparable Interkama and the perhaps even more memorable visits to the Altstadt in the evenings. Its takeover and subsequent submersion in the huge Hannover Meße ended this relationship with the city on the Rhine. Over 1000 delegates from over 40 countries attended the European Exchange and the format was similar to the Emerson Global Users Exchange held in Nashville, USA last October (2011). The event included General Sessions, Presentations, Industry Forums, Product and Services Roadmaps, Meet the Experts Sessions and a Solutions Exhibition. The content was tailored to meet the needs of users in Europe, the Middle East and Africa, and delegates could learn about best practices and see how colleagues are meeting new regulatory requirements, increasing yields, improving efficiency and reducing costs with enhanced automation. All of the content was in English, but with some presentations simultaneously translated into German and/or Russian. Shaped by users, for users – the Emerson Global Users Exchange is managed by a Board of Directors, comprising users from a range of industries, who shape the conference content and guide the direction of the users group at large. The opening general session on Tuesday includes a welcome from Ali H. Alawadhi, Emerson Exchange Board of Directors, Kuwait National Petroleum Company and Member of the ISA Kuwait Section. He emphasised that this was “by users, for users.” Emerson’s European President Bob Sharp and Steve Sonnenberg, Executive Vice President, Emerson and Business Leader, Emerson Process Management also spoke. 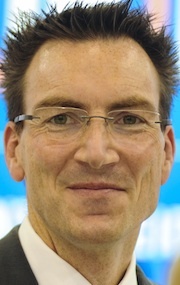 Sonnenberg included users as “shareholders” in the company and the importance of their communicating with these shareholders. They continued to invest in people, local support and technology for customers in spite of the Global recession. • Strategic account management award! • Gas distallation plant saves €1.2m per annum! The Emerson press conferences were launches of new products making the business case for safety. Introduced by Jim Nyquist, President, Systems & Solutions. The theme was improving safety through the lifecycle. First reducing complexity in safety instrumented system installation & operation where Peter Zornio, (Chief Strategic Officer) launched the DeltaV™ SIS logic which uses Emerson’s CHARM I/O technology. Treve Tagg, Manager Final Control Elements spoke on minimising safety loop vulnerabilities with the Fisher® FIELDVUE™ SIS Digital Valve Controller. Bjoern Salomon, General Manager, Machinery Health talked on digital overspeed protection for rotating machinery on improving operational integrity of safety systems., introducing the CSI 6300 SIS Digital Overspeed Protection System. The press conference concluded with an update on where the company is going with Wireless including an presentation on the use of wireless acoustic monitoring technology in a power station. These and other releases are listed in the box on the left. Over 100 presentations covered a wide spectrum of industry and technology-specific topics. Significantly, over 80% of these were from customers, keen to share their experiences. Delegates could attend a presentation track dedicated to a single subject, select presentations by customers’ in their own industry, or choose individual presentations to build a personalised conference curriculum. One of these presentations was a fascinating exposé on calibartion in the Cork (IRL) facility of GlaxoSmithKline. Alan Gray of GSK described the project for an innovative, integrated PlantWeb asset and calibration management which went live in 2010. It was described as an Intelligent Application of Smart Technology which improves business results. It was the result of co-operation between Emerson, Beamex and GSK in an award winning project. There was a demonstration of the interaction between the various components in this calibration excellence programme which achieved significent improvements in the opearion of the business and the management of regulatory complience. More details on this application in our story Co-operation gives advanced calibration and asset management package (22/6/2012). Six industry forums took place on the second morning allowed open discussion between conference delegates and a panel of experienced professionals. The industries covered being: Oil & Gas, Refining & Petrochemical, Chemical, Power, Life Sciences and Engineering. Peter Zornio, EPM, Peter Iles-Smith GSK, Leif Poulsen NNE Pharamaplan, Ian Allen Novartus at Life Sciences Forum. Each forum compromised short presentations followed by questions from the audience. For instance the Life Sciences Industry Forum helped us to learn and exchange information related to industry issues and trends, and the impact of these on the manufacturing environment . The forum discussed the future of automation within the Life Sciences industry with an emphasis on Skills and people development, Integration of IT and Automation/MES, Simplification of project implementation, and security. There was much discussion on attracting new blood as the industry becomes more complex and the experience of operatives diminishes as the older members of staff retire. Roadmaps – Watch this space! Eight roadmap sessions on Tuesday and Wednesday provided detailed information on products, services and enhancements that Emerson hoped to release in the coming months, along with insights into the strategy and technology guiding future solutions. Concluding the conference on the final afternoon were two practical working sessions focused on the issues that process operations face and solutions that can be applied. Delegates could learn from and consult with the “experts behind the technologies” who led two separate in-depth sessions about Emerson’s DeltaV™ automation system and Ovation™ Expert Control System. 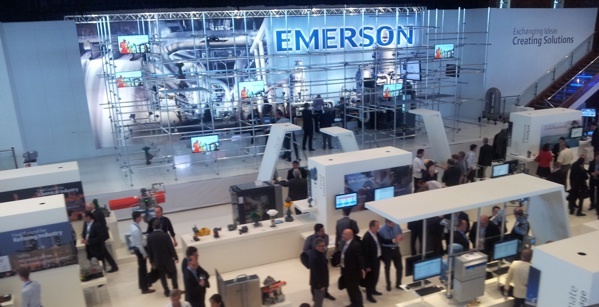 The Solutions Exhibition provided a unique opportunity to see Emerson’s newest and most innovative technologies – all in one airy hall. Delegates met with the experts behind the technologies and experience live, hands-on demonstrations of Emerson’s PlantWeb™ architecture and their products and solutions, as well as solutions from complementary companies and strategic partners. The exhibition area was split into two with the main Emerson area covering the Solutions areas and Industry Applications while the overlooking balcony was reserved for complementary companies and strategic partners. All in all it was a very well organised and thought out event with lots of information and ample opportunity for interactive networking. 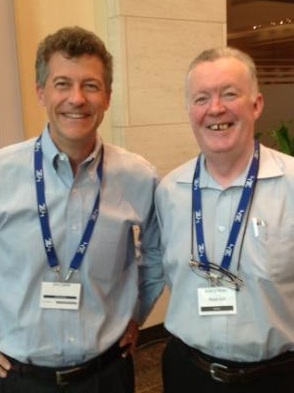 • The Emerson Exchange Düsseldorf team has done a great job of gathering and posting pictures from the Event. There are over 170 pictures in the library. This is a link to the slideshow. • And the good news is that they intend to do it all again, this time for the Americans in Anaheim – 8/12 October 2012 EMrex for the Americas. And they are accepting registrations already! Outram Research’s new fault current prediction technology developed by John Outram, the company’s MD, has proven to deliver accurate results during the first stage of field trials with ScottishPower. 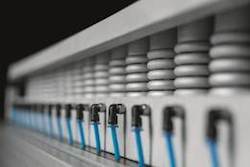 Knowing the peak fault current on their networks is critical to electrical utilities, as it defines the rating of the components such as circuit breakers required to ensure that they can safely withstand the large release of energy that occurs during an electrical fault. 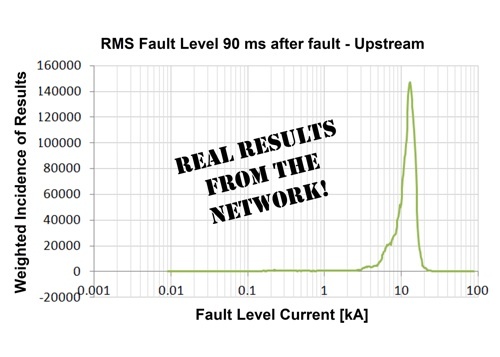 Outram’s patent-pending technique to predict fault current from network measurements has been developed to provide greater accuracy than current approaches. The project, funded by Ofgem’s Innovation Funding Initiative (IFI), consists of three stages. In the first stage of the trials, which measured RMS “break” current, Outram’s solution delivered accuracy to within 2% of the network model. By accurately predicting fault current, utilities can ensure that network components are correctly specified and eliminate the money wasted when over-compensating to provide a safety margin that allows for the existing, possibly inaccurate, approaches to their calculations. Fault current is measured using an algorithm developed by Outram Research, which runs on their PM7000 power quality analyser. The PM7000 is already widely used by companies wanting to troubleshoot, identify and resolve power quality problems quickly and efficiently. The first stage of the project was to predict the RMS “break” current, which represents the highest possible current that might have to be interrupted in the case of a fault occurring on an already live circuit. Breakers in the network must operate up to this maximum fault current to ensure that the power is safely and quickly disconnected. Stage two of the project, which aims to measure the peak “make” current – the current that flows when a connection is made to a section of the network where a fault is already present, has begun. Electricity distribution networks are becoming increasingly complex, and can no longer be modelled as a simple “waterfall”, where power flows from the power station to the load. In the event of a fault, components such as motors and embedded generation will deliver power back to the grid. This presents a potentially unknown level of fault current since it is impossible to have prior knowledge of such events without building complex network models and having a full understanding of all customer loads. Local electricity generation from renewable sources presents a similar downstream contribution that should be calculated. The third stage of the project will demonstrate that the Outram approach can elucidate the contribution to fault current from such loads through its measurement technique. Existing approaches to calculating peak “make” current are less accurate than those for peak “break” current, and they usually ignore the increasingly important downstream contribution.